Say what you will about the Greeks (I often do), but their storied history has proven time and time again to be ripe pickings for videogame adaptations (maybe not the oil wrestling bit, but everything else is fine). From a pantheon of almighty gods to mortal heroes with kickass stories, Grecian folklore holds more potential for action-packed games than most, and it’s nice to see it exploited every now and then. 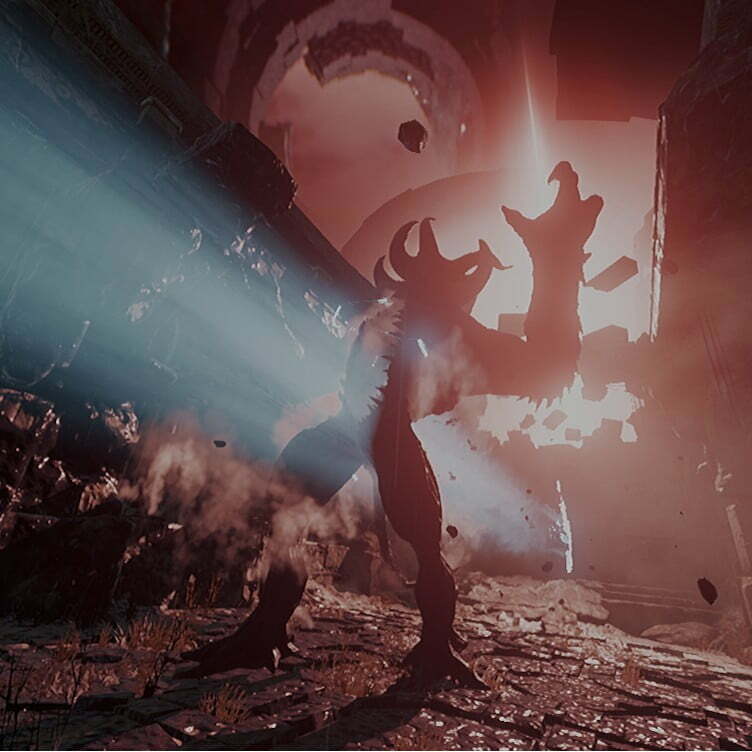 Theseus, a third-person-VR-action-adventure amalgam from Forge Reply, puts a little twist on its namesake to deliver a truly captivating experience. If only it weren’t so short. For those of you who didn’t just pull up Wikipedia, Theseus was the Grecian mortal responsible for founding Athens. While his feats are many and his tales plenty, the most common story associated with our mythical hero is his journey through the labyrinth and battle with the Minotaur. Forge Reply has taken this legend and added a modern Groundhog Day spin. Theseus, awakening on a stone slab, finds himself trapped in a mighty labyrinth, guided by nothing but a glowing ball of light with decent cleavage. The titular, ethereal guide explains to Theseus that he is trapped in this fortress and can only escape by killing the monstrous Minotaur. Only after we experience our first death does the glowing tart explain we’ve lived and died countless times trying to accomplish the same feat. From there, the player must overcome a series of challenges to break the cycle and end the man-beast’s life. I don’t need your permission to squat, m’lady. 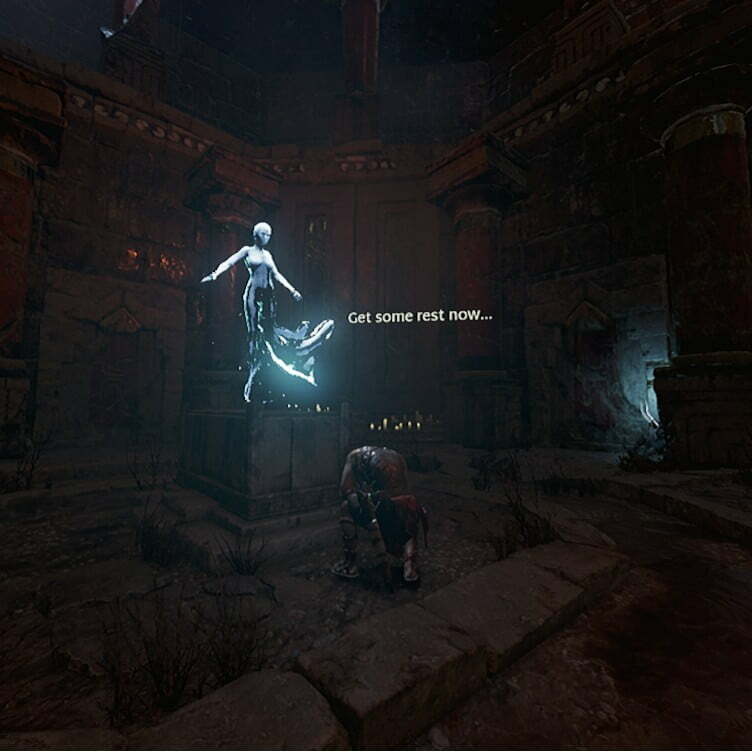 Theseus is a third-person, fixed-perspective game that intersperses bits of combat with puzzle and exploration elements. While exploration is limited to a room-by-room path, there is a decent amount of interaction with the environment (having your torch extinguished by dripping water is freaking genius, and obvious). The combat is limited in capacity and only comes into play around four or five times, but the game has enough elements at work to keep players busy. 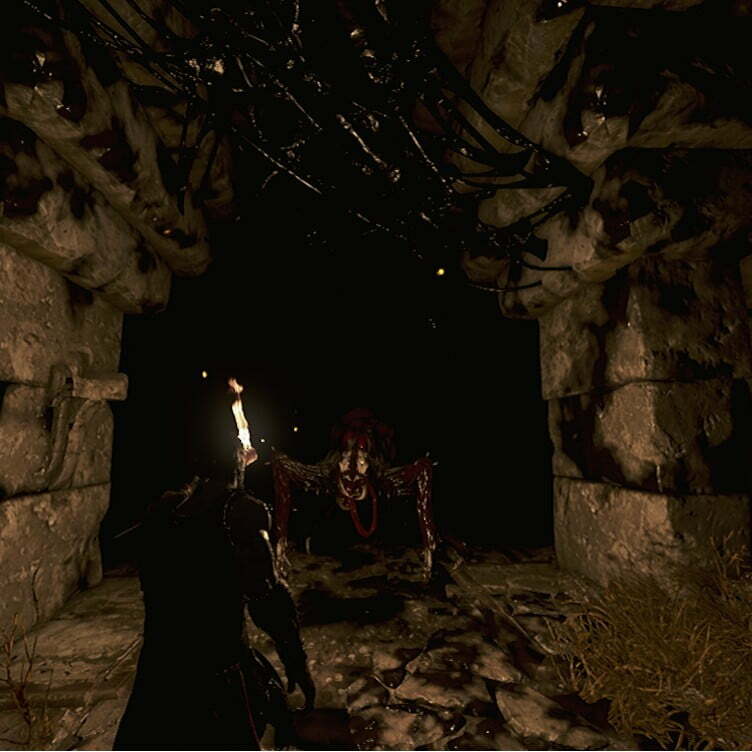 While most of the puzzle elements are simply “stand on a block to open the door”, several encounters with the Minotaur require a bit more strategy and trial-and-error. At no point was the game overly frustrating, but the decreased level of difficulty did well to not take away from the story. Fixed-perspective in a VR environment is an interesting combo. Instead of seeing the world through Theseus’ eyes, we sit perched on the wall like a fly, observing his moves while glancing around the room. While some of the fixed angles can hamper navigation, the developers did a good enough job to ensure the transitions were mostly smooth. It’s also a small kindness that the game is controlled through a standard controller rather than the Vive’s controllers, which would certainly prove maddening to anyone’s sense of coordination. The game itself is absolutely gorgeous, and I think the lighting plays the biggest hand in tying the room(s) together. The dreary stone tunnels and ethereal stormcloud sky really sync with the environment the developers were looking to create. The musical score, accompanied by all the Minotaur’s smashing and the spiders’ skittering, also made quite an impact on the entire experience. In fact, the first encounter with said spiders was enough to make me rip off the headset and glance around the room, a prime example of how good this game was at building tension. You look a bit busy, I’ll see myself out..
My biggest, and perhaps only, gripe with Theseus is its brevity: I walked through the labyrinth and faced off with the Minotaur in just under two hours. While the developers acknowledge the game’s short duration, it still leaves a lot to be desired. Surely there were other mythical creatures I could battle, or puzzles to conquer? Surely Theseus didn’t get to found his own city because he spent two hours dicking around an abandoned castle? 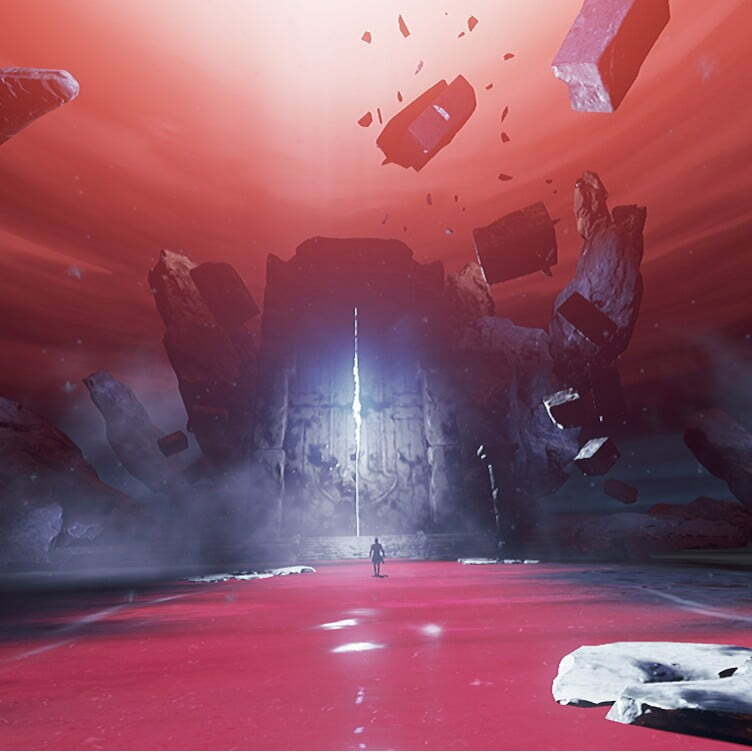 Forge Reply created this amazing environment and found their groove at building suspenseful encounters with limited gameplay, and then they suddenly threw in the towel. I respect short games, but this had all the trimmings to pull off something far greater. The abrupt ending left me emotionally bankrupt, much like how Greece is actually bankrupt, I suppose. Theseus is a fixed-perspective, story driven retelling of the ancient Greek tale with the same name. The game boasts beautiful graphics and stirring encounters, but its untimely ending and lack of content will leave players wanting more.